What is one of the basics of living a healthy lifestyle? Following a basic meal plan that is conducive to your lifestyle, your health and keeps you on track towards your goals. Any plan should offer a basic style anyone can follow but also can be customized to your specific needs and wants. 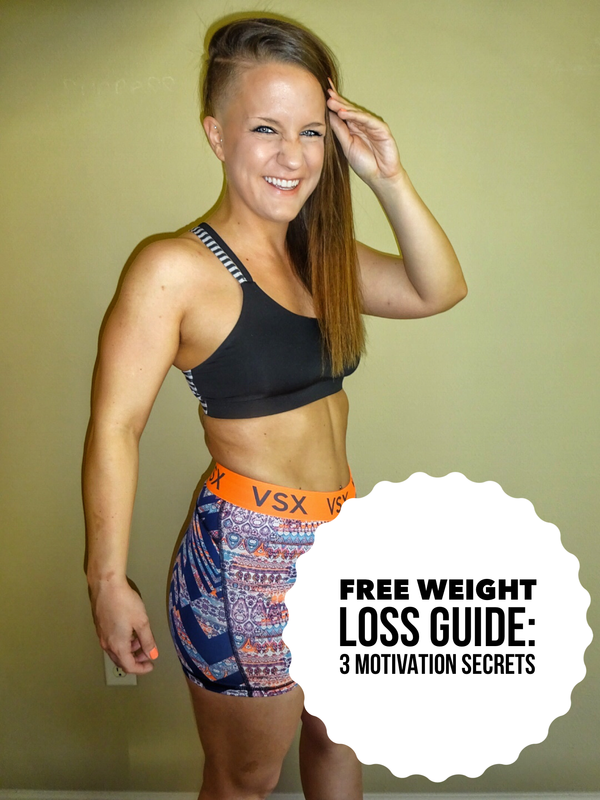 There should be room for slight changes and improvements that gear towards losing weight, maintaining weight or even gaining muscle or toning up. For some reason, these types of nutrition plans can be hard to find and sometimes even when you do find one there is no guidance or accountabilty along with it. That’s where Kelli and I want to help! **This healthy weekly meal plan will offer you an easy meal plan that encompasses all of the basic building blocks of great health and well-being: proper nutrition, flexible times and options, customizing certain meals and adding or lessening calorie intake to aid your specific health goals! For our ultimate meal plan that includes 1-on-1 coaching and support along with recommended supplements to boost weight loss results, Contact Us HERE for a free wellness evaluation. Helping you reach your goals is our priority! This will consist of 5 full days of meals and snacks for you to follow. Depending on your body weight and your health goals, you may need more or fewer calories. The total calories of this weekly meal plan will be approximately 1850-1950 calories. Each day will will consist of three full meals, two-snacks that are based around lean protein and a healthy snack at night (fruit). First meal (breakfast) will be around 250-300 calories, snacks (lean protein) are about 150 calories each, and the last meal (dinner) including the fruit snack will range around 800 calories. Because this is a sample meal plan for weight loss, each day will consistent of a healthy meal replacement shake. The Formula 1 Healthy Meal is easy to prepare, high in protein which will make it a filling breakfast and includes one serving of fruit or vegetables for added vitamins, minerals and fiber. Each day will include a main entree/meal that will be used for 2 seperate meals. This will add convenience for someone who has a busy schedule and does not have the time to cook multiple healthy meals. For each healthy breakfast smoothie a quality blender is needed. We recommend the Vitamix for best results and the Nutri-Ninja as a close second. Both of these will provide the best tasting smoothies. All meals should be within 2-3 hours of each other and each snack should be in between two meals. Eat snacks depending on individual hunger. *Start off this healthy weekly meal plan with an amazing lineup of healthy meals and snacks. Begin right with a kiwi spinach smoothie in the morning to feed your body excellent energy and nutrition. End the day with delicious salmon burgers and a simple green salad. In a medium bowl, make a salad dressing by stirring together 1 tbsp rice vinegar, 1/2 tsp. Dijon mustard, 1 tbsp olive oil, salt and pepper to taste. Add 3 cups (200g) finely shredded fresh kale leaves, 1 large grated carrot and 1 medium diced apple, then toss. Make one hard boiled egg. Slice a fresh tomato and top with egg slices. Season with salt & pepper. *This healthy weekly meal plan continues right where it left off starting with a delicious carrot pineapple smoothie along with protein-rich snacks like a rice cake with peanut butter and cottage cheese. Place all ingredients into blender and blend until smooth and all ice cubes have been thoroughly crushed. How to make Greek Salad -4 cups mixed baby greens, sliced cucumber, tomato, red pepper, 1 ounce crumbled reduced fat feta cheese. Toss with 1 tbsp each olive oil and lemon juice, 1/4 tsp dried oregano, salt and pepper. Top with 6 ounces (170g) glazed chicken, sliced or diced. Whisk together 1/2 cup nonfat milk and 1 egg in a large mixing bowl. Add 1/2 cup Italian-seasoned breadcrumbs; let stand 10 minutes or until liquid is absorbed. Mix in 1 pound ground turkey breast until well combined. Shape into 1” balls, place on lightly oiled baking sheet, and bake at 350 degrees for 20 minutes. Add a 24 oz can of marinara sauce to the baked turkey meatballs and heat thoroughly. Mix in separate bowl with 1 1/2 cups of cooked penne pasta. *Healthy weekly meal plan continues it’s path of starting off the day with a healthy meal replacement shake only this time satisfying your chocolate craving. Introduces new healthy protein options with quinoa and tofu to spice up taste and nutrients. Place all ingredients into blender and blend until smooth making sure all ice cubes are thoroughly crushed. Chop 6 ounces grilled chicken breast and toss in a bowl with chopped lettuce, spring onions, one medium grated carrot, 1/4 of a diced avocado and a diced orange. Drizzle with a little balsamic vinegar, sprinkle with salt and pepper. Cut a whole grain pita bread in half, and stuff chicken mixture into the two pockets. Mix 1/2 cup cooked white beans with 1 small chopped tomato and 1 tbsp low-fat Italian salad dressing. Teriyaki Baked Tofu Recipe – Slice a block of extra firm tofu and arrange in a single layer on a lightly greased baking pan. Coat lightly with a few tbsps of bottled teriyaki sauce. Cover with plastic wrap and marinate in the refrigerator for at least 30 minutes. Bake in oven at 350 degrees for 30-45 minutes, turning occasionally. Quinoa – Finely chop onion then sauté in a small amount of olive oil over medium heat until soft. Add quinoa and chicken or vegetable stock (two parts liquid to one part quinoa). Stir and bring to a boil, cover, turn heat to medium low and cook 10-12 minutes. Vegetables – Sauté fresh asparagus and sliced mushrooms in small amount of canola oil. Season with salt, pepper and fresh garlic. Use extra quinoa and tofu for meals in the last 2 days. Serve -1 1/2 cups quinoa with half of the roasted tofu and vegetables. Drizzle with soy sauce if desired. *Day 4 starts off with a one of a kind healthy peach smoothie, and includes a hearty flank steak along couscous and roasted broccoli. Place all ingredients in blender and blend until smooth and all ice cubes are completely crushed. Place on a layer of fresh greens like spinach and romaine lettuce. 12 ounces low-fat milk or soy milk mixed with 1-2 shots of espresso. Sprinkle with cinnamon. *Like coffee? On the final day of the healthy weekly meal plan you will start off with a delicious Coffee Mocha Protein Shake for breakfast and grilled fish tacos to end the night. Ending the meal plan in style! Place all ingredients in blender and blend until smooth and all ice cubes are thoroughly crushed. Put 1/2 cup frozen chopped spinach in microwaveable coffee mug. Microwave on high 30 seconds. Pour in 1 beaten egg, seasoned with salt and pepper, and microwave another 90 seconds, stirring after 45 seconds. How to make Noodle Soup: Bring 2 cups chicken broth to a low boil. Add 2 ounces dry soba noodles and cook for 5-7 minutes until just tender. Add 3 ounces frozen cooked shrimp and 4 ounces roasted tofu. Cook for a few more minutes until heated through. Add 1 cup leftover roasted broccoli and heat for another minute or two. Top with a handful of diced spring onions and a dash each of rice vinegar, sesame oil, soy sauce and ground white pepper. Mix 2 ounces canned water-pack tuna with 1 tbsp Dijon mustard. Spread on 4 medium-sized whole grain crackers. How to make a quick slaw: Finely chop cabbage or mix packaged shredded cabbage with lime juice, cumin, salt and pepper to taste. Prepare beans by heating 1 cup canned black beans and seasoning with a dash of ground cumin. Heat corn tortillas and top with grilled fish, cabbage mixture, avocado and salsa. Serve with beans on the side. There you have it, the full and complete healthy weekly meal plan! Filled with an array of healthy and delicious breakfast, lunch and dinner options, this complete meal plan can be just the head start you need to get into the habit of eating the right way! If you have any questions, concerns or want more information on our other meal programs or just want to learn more about our 1-on-1 coaching, support and accountability as health coaches, feel free to contact us here and let us know how we can help you reach your health and fitness goals!